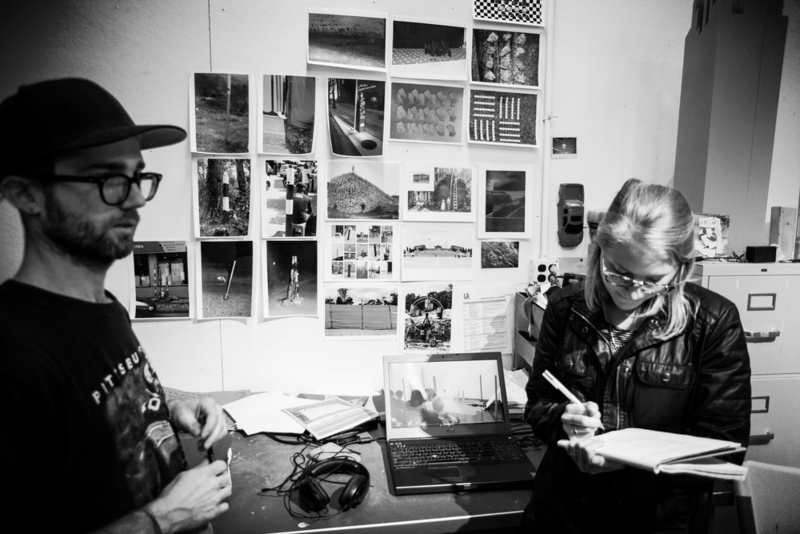 This March, Space 1026 hosts PLEASE COME IN, an exhibition of Philly-based artists curated by Haely Chang, Kirsten Gill, and Hilary R. Whitham. PLEASE COME IN is conceived as a porous environment, in which visitors weave across boundaries between the work of art and the surrounding space, penetrate immersive interiors, and transgress frames. Featuring five artists – Keenan Bennett, Stephanie Elden, Olivia Jones, Daria McMeans, and Yue Nakayama – the exhibition is a web of things that alternately enclose the viewer and open onto their environment. In her essay “Too Much World: Is the Internet Dead?” artist and critic Hito Steyerl writes that “cinema has exploded into the world to become partly real.” In PLEASE COME IN, artists figure this explosion via screens that surround and interrogate as agents; surreal objects that make room for the viewer or impose themselves on lived space; and constructed environments that are brief alternatives to or escapes from apparent reality. While not all of the artists work directly with cinematic media, the featured videos, sculptural objects, and immersive installations all explore the confused distinction between our lives and their mediations. Keenan Bennett’s research-based practice explores a nexus of concerns that include marginalized histories, monumentality, and youth subcultures. His immersive multimedia installations trace the cracks and silences of history and toy with the affects of absence and lack. Dense plays of light and shadow, symbolic imagery, and perceptual effects animate Bennett’s mythical, unlocatable situations. Stephanie Elden’s “hoop house” characterizes her artistic trajectory, which foregrounds both the complex relationships and the innate tensions between natural and unnatural elements. In Elden’s artwork, manufactured space highlights dialectical processes between the artificiality of manmade materials and the organic fluidity of water. 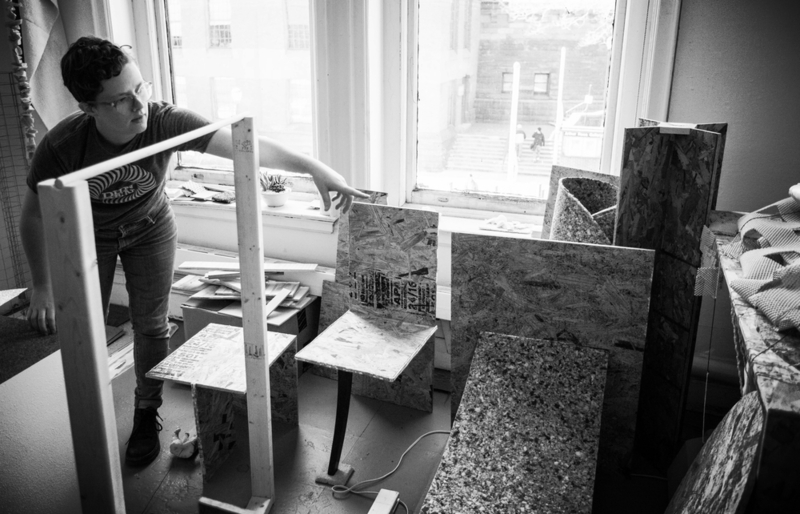 Olivia Jones utilizes fabrics, wood, and steel, mining the aesthetic registers of industrial design and abstract art, to create works of art that fluidly combine architecture, sculpture, and painting. Jones’s alluringly tactile and formally rigorous objects unsettle their own visual appeal through odd contortions that evoke the uncanny. Combining a minimal aesthetic with a near-documentary approach, Daria McMeans blends film’s stylistic classifications and opens up new relational modes by training the camera on herself and her own family. 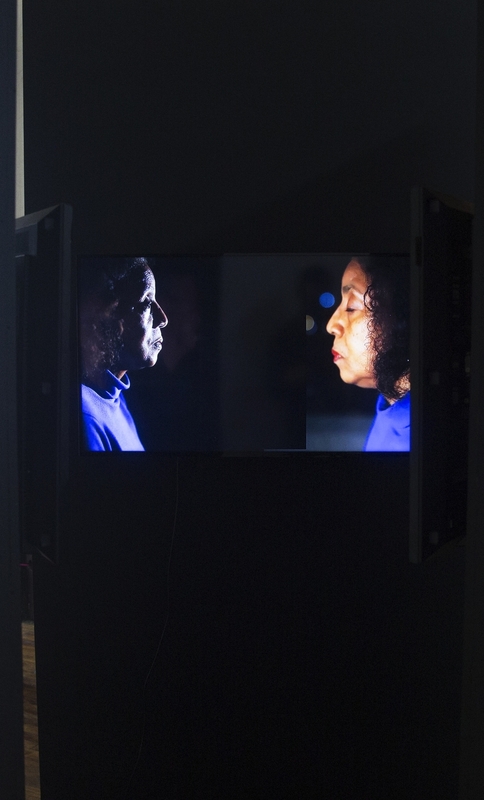 McMeans’s enveloping three channel installation provokes a range of emotions – from empathy to discomfort – as it mobilizes personal experiences and explores the possibility of conversations about race and lineage. Yue Nakayama devises her visual literature based on her personal writings about politics, recurring ordinary or historical events, and mass media. Her images and performances are full of humor, an important trait in Nakayama’s art: firstly as an iconoclastic mechanism that challenges taboos against entertainment in contemporary art, and secondly as a disavowal of excessively deadpan topics.